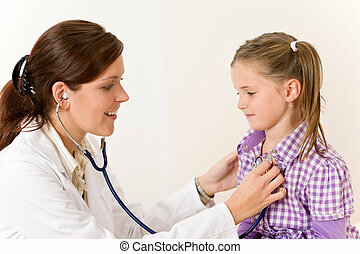 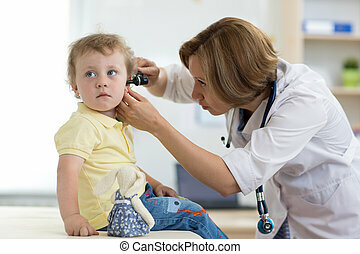 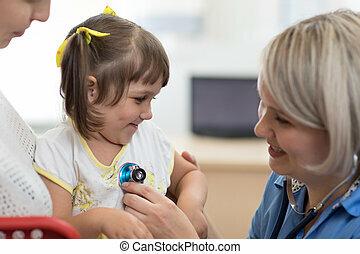 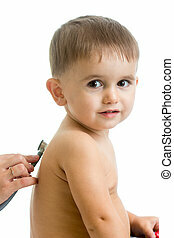 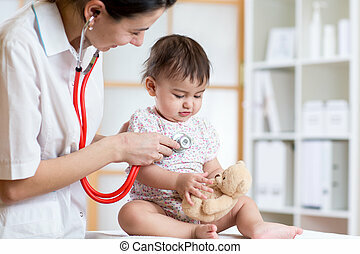 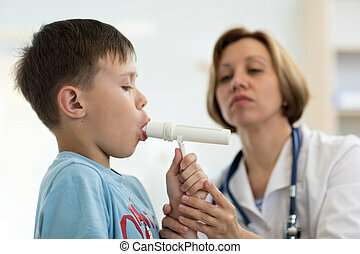 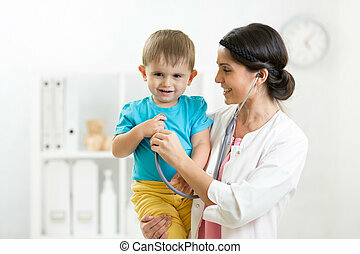 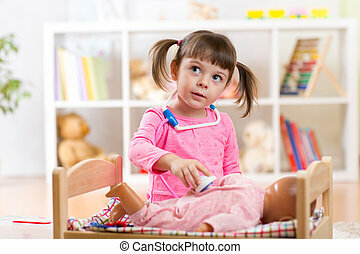 Pediatrician doctor examining child patient with stethoscope. 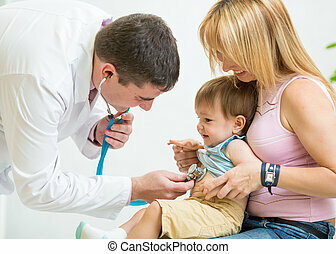 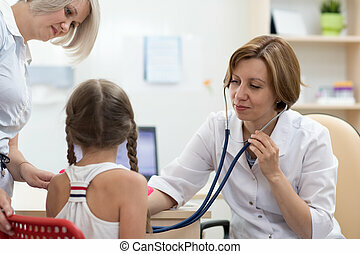 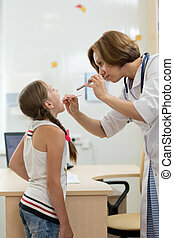 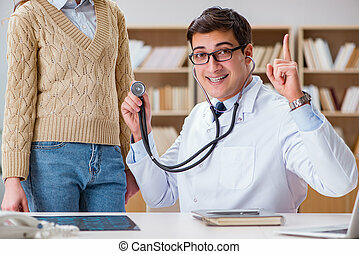 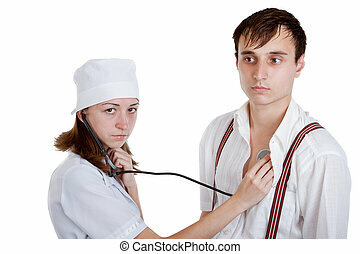 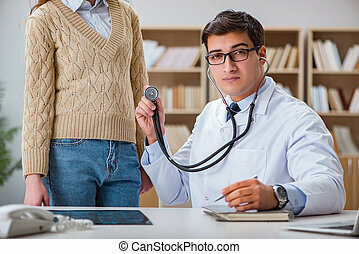 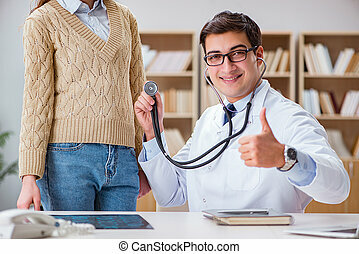 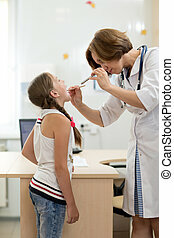 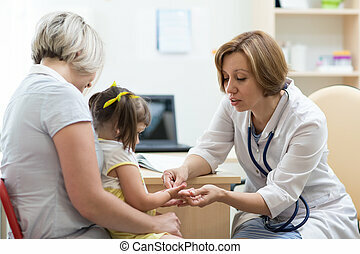 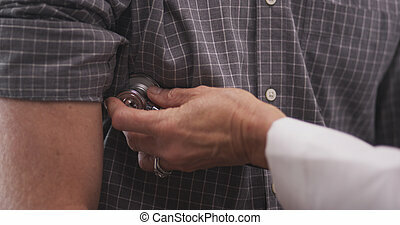 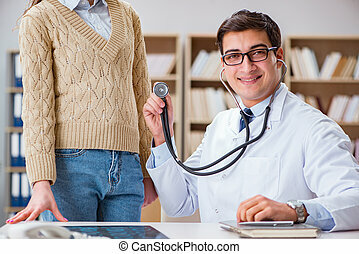 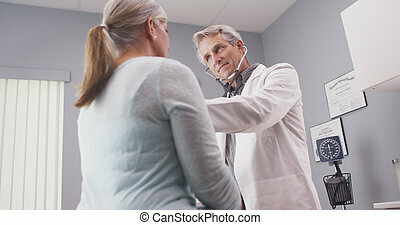 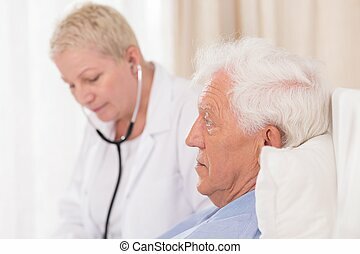 Pediatrician doctor examining kid patient with stethoscope. 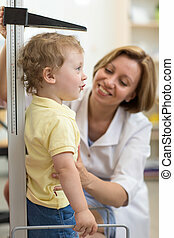 Mom looks at child. 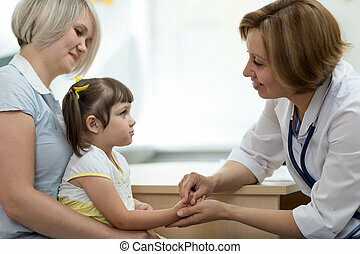 Mother and kid daughter visiting the pediatrician. 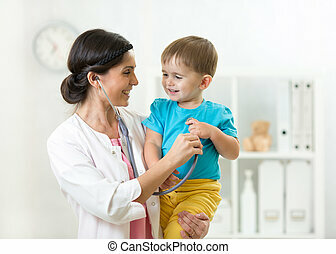 Doctor consulting woman with child. 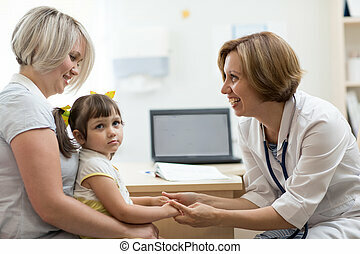 Mother and her little daughter at the pediatrician. 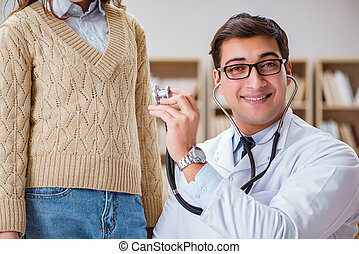 Doctor consulting woman with child. 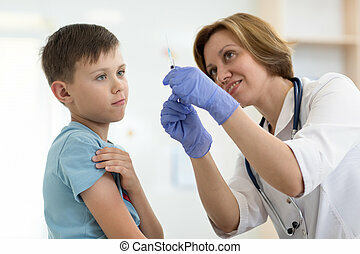 Doctor pediatrician holding syringe with injection vaccination. 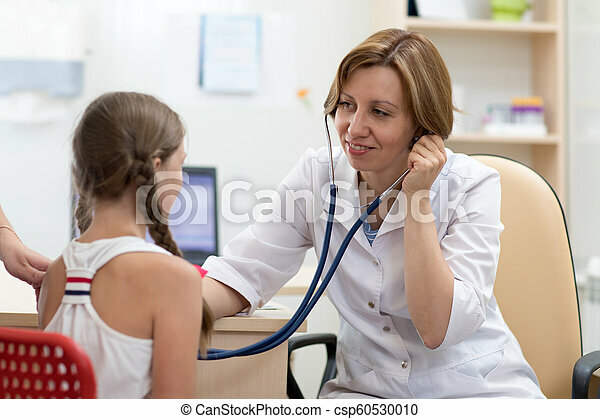 Child girl is afraid. 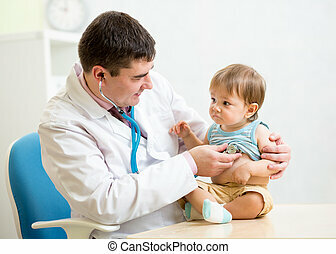 Doctor holding child's hand with care in hospital. 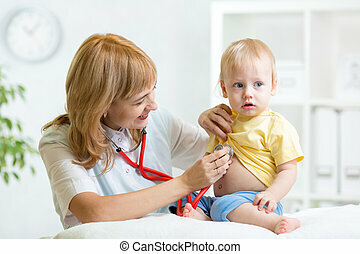 Healthcare, childhood and medicine concepts. 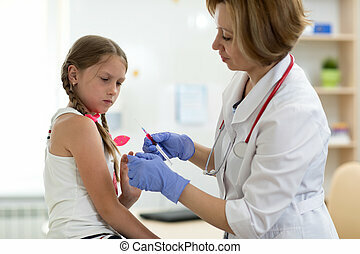 Doctor holds syringe and teenager child patient. 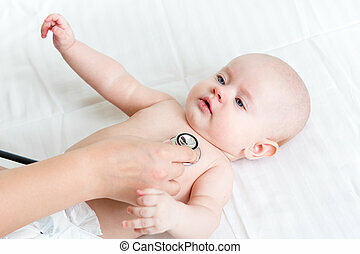 Little brave boy before injection. 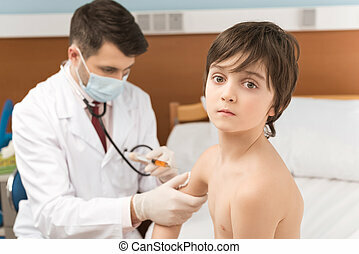 Doctor pediatrician holding syringe with injection vaccination. 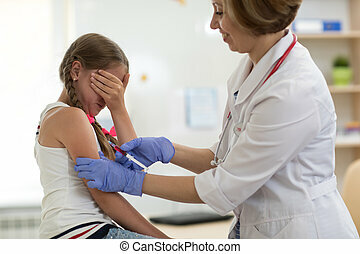 Girl teenager is afraid.